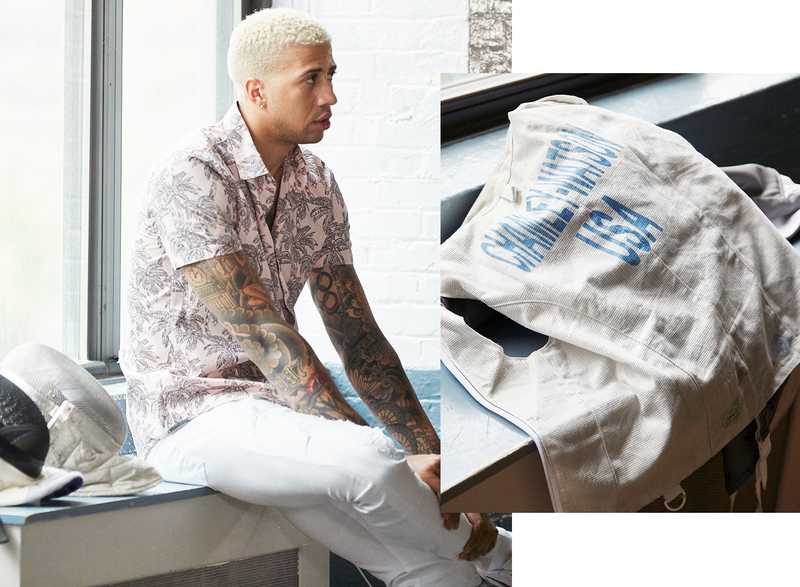 Fitting in has never been easy for London expat Miles Chamley-Watson. For one thing, he’s 6 foot 4. For another, he’s a fencer for Team USA—not exactly the sport of choice for most kids growing up, which likely confused his classmates even more than that British accent when they learned that a nine-year-old Chamley-Watson was sword fighting in his spare time. Which is all the better, because Miles Chamley-Watson has never been very interested with fitting in. In this sport especially, which has long been the de facto sport of the .0001%, Chamley-Watson can’t help but stick out. There’s the bleached-blond hair, of course, not to mention all those tattoos. And have you seen his earrings and fluorescent-hued Instagram page? 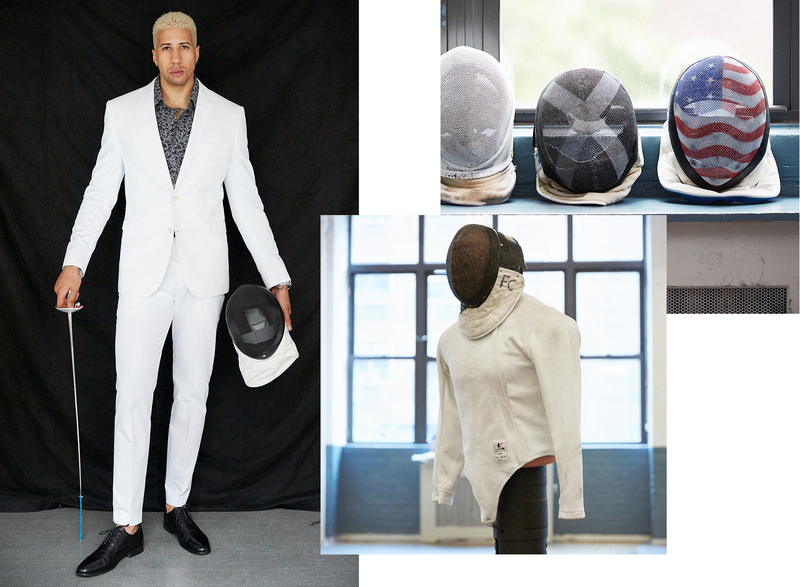 Even with his mask on and fencing uniform draped across his lanky body, Chamley-Watson is instantly recognizable. The way he moves, zipping in and around his opponents like a water moccasin, brings a riveting panache rarely seen in a fencing bout. It doesn’t hurt that he’s also begun debuting never-before-seen moves in a sport that dates back to the 1400s, including his patented Chamley-Watson (picture giving yourself a hug, except with a sword in your hand that wraps around your entire body to strike your opponent’s chest), which may help explain how he became the first American male to win a fencing world championship title. All of which begs the question: Why would he ever want to fit in when sticking out is so damn fun? We recently caught up with the towering Olympian at his training gym in NYC, got him to show us a few moves, and learned that his secret might be not living in the moment. 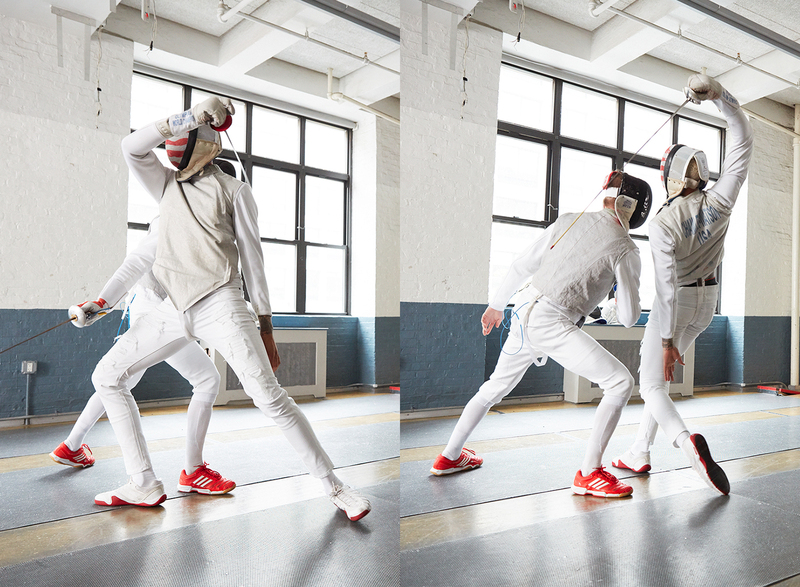 Fencing is such a fast-paced sport. When you’re competing, does it feel as chaotic as it looks, or do things move in slow motion for you? I think for me, there are two sides to it: Sometimes when you’re not on your game you feel like everything is coming at you kind of quick. But when you’re in the zone, everything slows down—it feels like everything is in slow motion. When I’m at my best and competing at a high level, I see things pretty slowly and I can react how I need to. I’m sure confidence plays a huge role into that, too. The more confident you’re feeling, the slower things probably move for you. Exactly. Confidence is a huge thing. Your motto is, “Create a legacy, not a moment.” When did you first start working towards that philosophy? It was after the 2012 Olympics. Actually, it was 2013 and I was flying to China. I was on the plane and I was thinking, like, with competing how I don’t really want to be here in this moment. Over 10 hours it just came out as “Create a legacy, not a moment,” and then I wrote that down and it just stuck with me. I think it appeals to everybody. No matter what you want to do, after your name’s gone or after you’re done working, we still want to have a legacy and not just be known for that one thing that you did. So, since 2013, I’ve used that motto. It’s actually hung up in my apartment, so every day I see it. I think it’s just something that no matter what, if I win something, I’ll forget about it. If I lose something, I’ll forget about it, too. For the last couple of years I’ve been seeing that every day and thinking about it every day. In your experience, what is the hardest part of living by that motto? When you’re down or when you’re up, I think it’s always tough to put yourself in that mindset of always being in the present. We all have our good days and bad days, so I think it’s hard to find that drive, you know? I’m always pretty motivated, but I think it’s tough to always be that positive person. But I try to be that person every day. It reminds me of tennis. I play tennis a lot and you have to have a short-term memory in tennis. Fencing seems like it’s the same, especially if you’re going to be successful at the highest levels. What you said is so perfect. I have a lot of friends who play tennis, too, and I think having a short-term memory is something that is such a hard thing to get. I think I’ve done a good job of that. No matter what happens, winning or losing, you have to forget about it and move on. What’s the number one thing on your goal board right now that you’re looking towards? Whether it’s a short-term goal or a long-term goal, what do you have your eye on? Right now, it’s winning the Pan American Championships and then winning World Championships again. You know, I’m the only American to ever win and I want to win again. I’m not even thinking about the Olympics right now. Definitely being world champion, for sure. You already have one fencing move named after you, and in April you posted a video on Instagram working on a brand new move. Did you ever come up with a name for it? No, I haven’t yet! But we got like a thousand comments, which is crazy to me. I’m still trying to figure it out. There’s another one we’re doing, too, right now. Honestly, I haven’t really thought about it yet. There were so many good suggestions, but I’m still trying to figure out the name for it. Where does the desire to innovate your sport with these brand new moves come from? 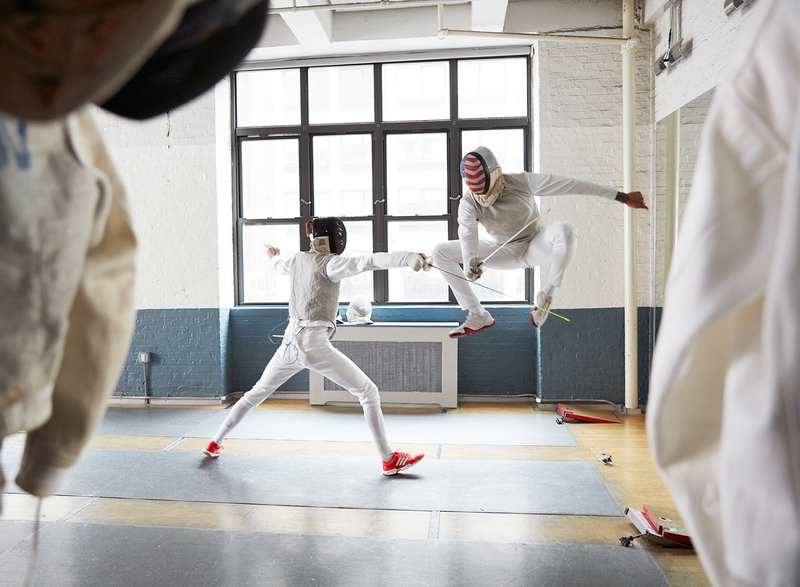 From an outsider’s perspective, fencing seems like such a traditional sport where you do things in a very traditional manner, but you’re out here creating new ways to win in your sport. 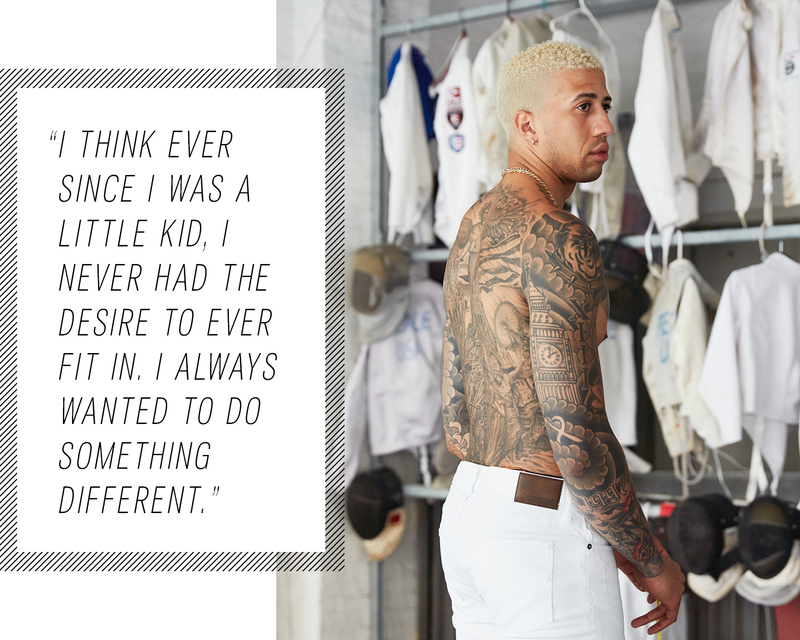 I think ever since I was a little kid, I never had the desire to ever fit in. I always wanted to do something different. So I think at a young age, I always wanted to push the limits. In the sport, too, the way I compete is so different. My style is so different. So it goes hand-in-hand with my personality, as well. I’m super kind of crazy, wild, different. I think that’s what keeps me fresh. That’s what keeps me hungry. Just like, What’s next? I have the chance to kind of change an entire sport on my own, which is crazy. The whole perception of it. I want to be bigger than fencing, but I also want to take it with me. You’re looking to raise your sport up with you. How many times has someone attempted one of your own moves on you? People have tried, but obviously it doesn’t work. I get little kids doing it, I’ve got people doing it at competitions. I love seeing it. You know, it is called the Chamley-Watson, so I love seeing it. But no one’s going to be able to do it better than me. Having watched you in action, I was really curious to know what’s going through your mind during those short moments where you’re resetting during a bout? I’m sure those can be extremely tense moments. For me, it’s always about staying calm. Honestly, I don’t think as much as most people. I’m more of a feeling type of person. I always like to feel things out. I really don’t think too much, which is a good thing and a bad thing. Has that always been your personality, or is that something you’ve purposely worked towards as you got further and further in the sport? Honestly, that’s just how I am. It’s kind of how I was when I was young. So you’re not doing any meditation or anything like that, it’s just something that’s in your DNA? Yeah! My coach today actually was like, you should see a sports psychologist. I was like, “No, I’m good.” You know, I’ll figure stuff out eventually. It may take longer, but I’ll figure it out. From a mental standpoint, what is the biggest key to your success in fencing? Do you have a specific routine? A superstition that helps you get into the proper mindset? I have a routine when I warm up, but I always tell myself—like, I got tattooed “Risk” on my hand. I look at that every time. I always tell myself to take risks. Even if it’s a close call, if it’s a tied match, no matter what, take risks. Ultimately, people who take risks wins. People who don’t, they don’t win.